Select mobile ticket delivery during checkout and your tickets are delivered within seconds of your order being completed via email. 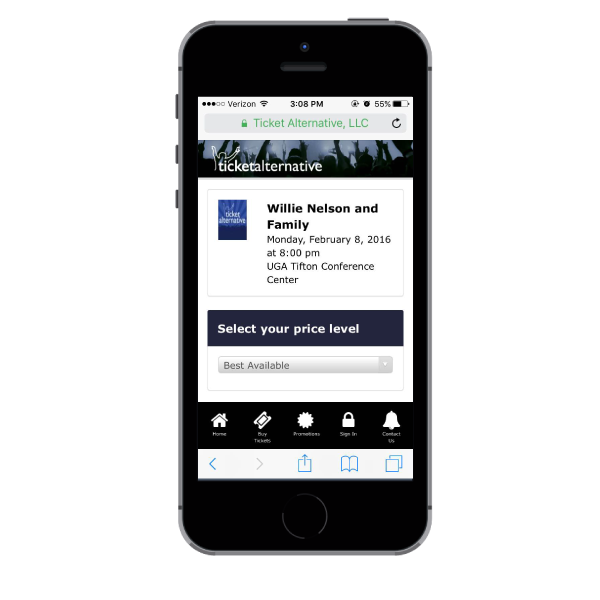 Store your mobile tickets in your Apple Passbook or Google Wallet for convenience. Our mobile friendly website is accessible from all mobile browsers on all devices running Windows, Blackberry, Android or iOS. Preview our mobile site by clicking this link on a mobile device. 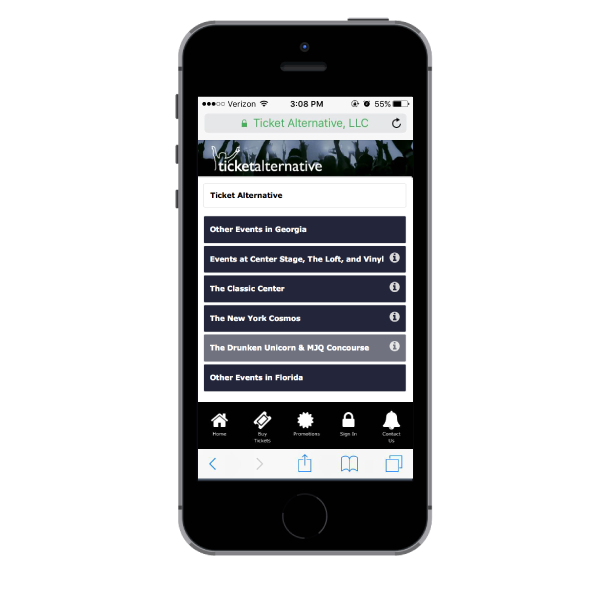 Returning customers can quickly buy tickets using their personal account information already stored in our system. New customers can quickly create an account or check out as a guest.